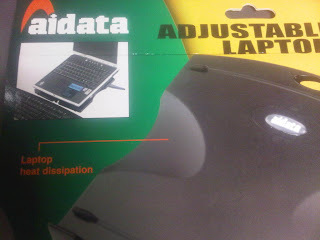 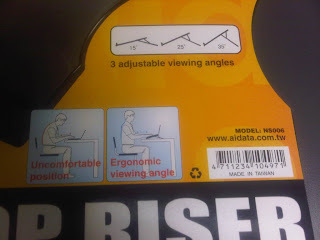 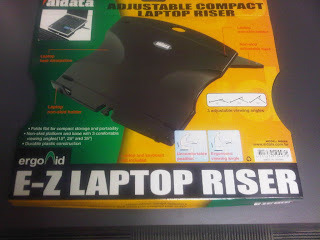 As part of my office's drive to ensure all workers are ergonomically taken care of, they have purchased this Aidata E-Z LapTop Riser. 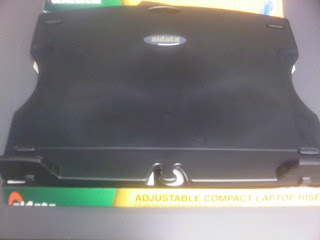 I do not know how much it costs as the company purchased it for everyone. The riser can be set to 3 levels. 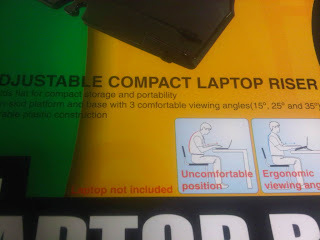 And the wonderful benefits of having an ergonomic laptop riser. The riser is quite flat when not in used. 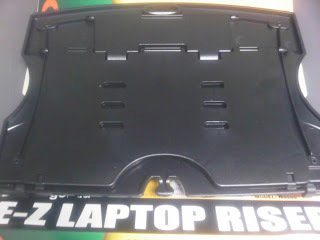 The backside of the riser. 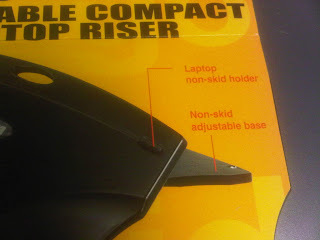 The 3 pairs of notches are user to elevate the riser. 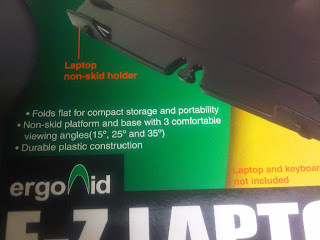 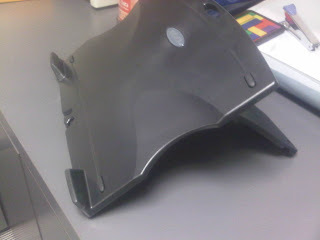 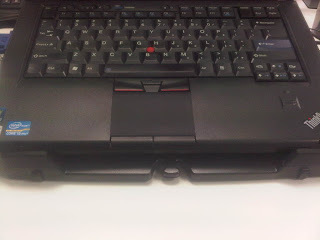 The holder prevents the laptop from sliding down. 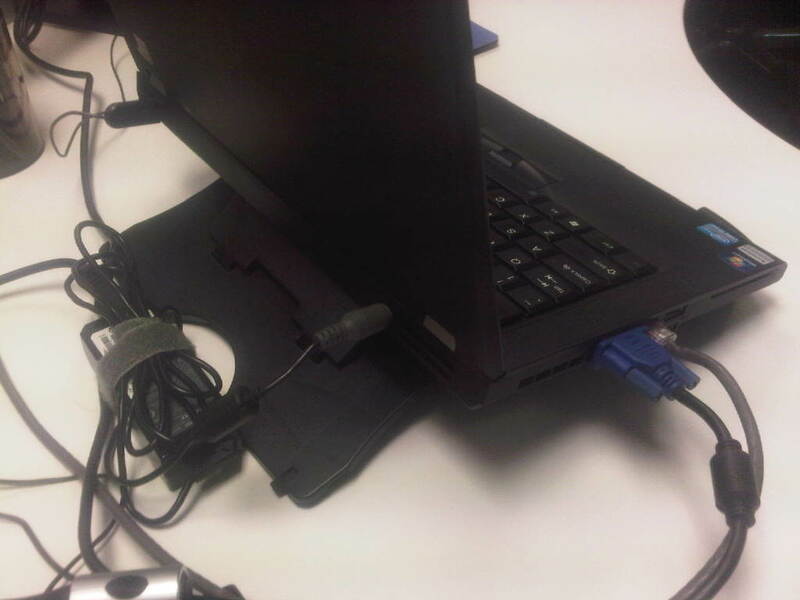 I used another monitor as a 2nd screen from the laptop, so that I can have a dual monitor set-up. 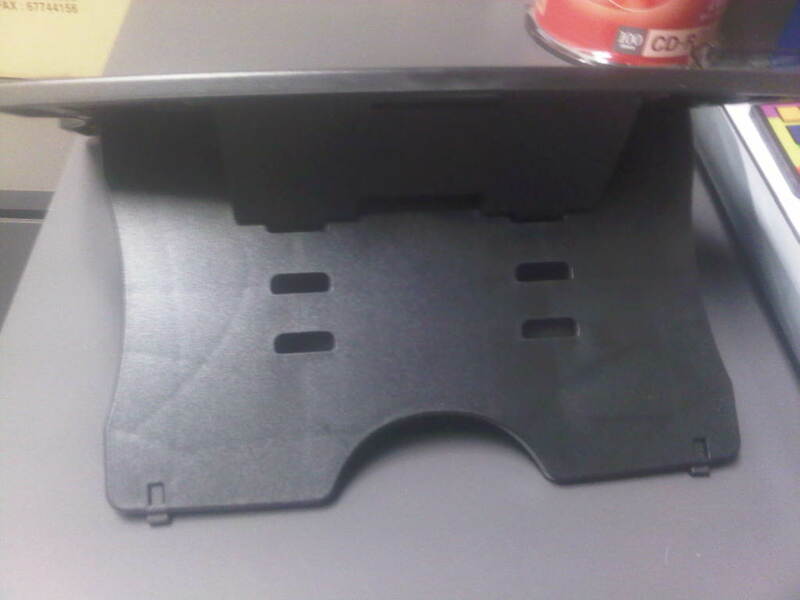 And having the laptop riser, I can position the laptop screen to be almost at the same level as my 2nd monitor. 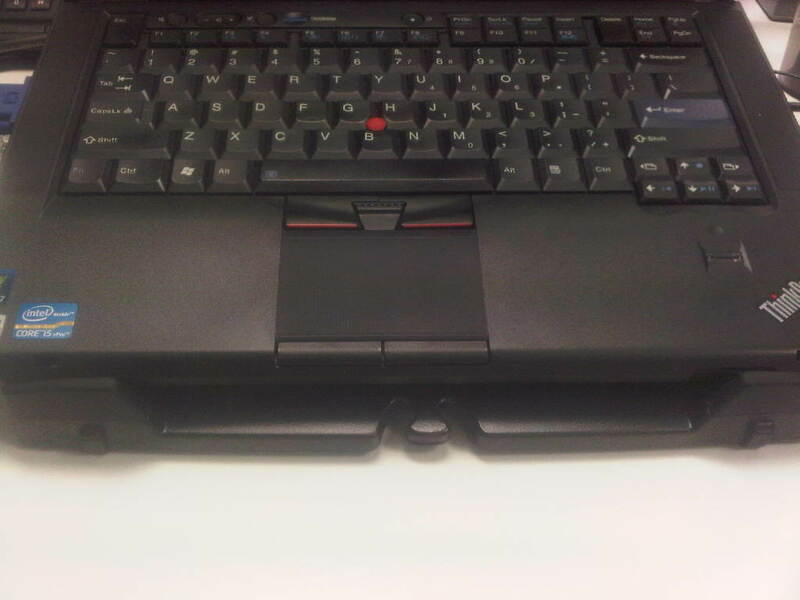 And the keyboard is more friendly to my wrist.